Miller Prosthetics & Orthotics, LLC provides prosthetic and orthotic services in the Mid-Ohio Valley. We help patients nationwide from our two offices in Parkersburg, West Virginia and Belpre, Ohio. We provide high tech solutions for the best fit and service for all patients. All people with limb loss or limb differential are welcome, including below and above knee, foot and upper extremity amputees. Orthotics includes custom fitting and fabrication of arch supports, ankle-foot orthoses, knee braces and back braces to eliminate pain and assist during the healing process, while adding stability when walking or moving. We strive to return patients back to the activity level they desire from walking and moving to running, fishing and hunting. Owner Mark Miller is a certified, licensed prosthetic and orthotic professional and has been helping patients walk comfortably and restoring their confidence and dignity for over 29 years. 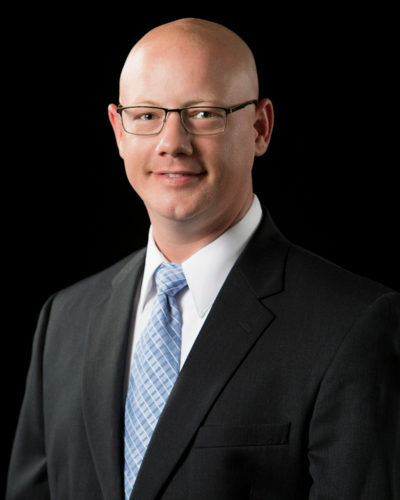 Mark was born and raised in Marietta, Ohio, has a Bachelor of Science degree in Industrial Technology from Ohio University and received his certificate in Prosthetics and Orthotics from Northwestern University in Chicago. He has been practicing in the Mid-Ohio Valley since 1991. Miller Prosthetics & Orthotics was established on 12/12/12 by Mark and his wife Nancy Miller. 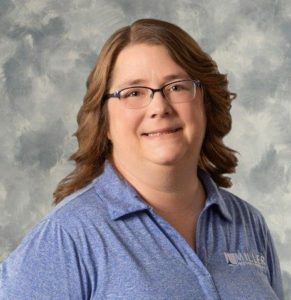 Co-owner Nancy Miller has a Bachelor of Business Administration degree in Finance and Statistics, and an MBA from Ohio University. The office is managed by Susie Murphy, who comes to Miller Prosthetics & Orthotics with over 29 years experience in the field. Our technician Dakota Wentz can be found in our on-site fabrication lab manufacturing custom fit prosthetics and orthotics at our Belpre, Ohio location. The sense of accomplishment and satisfaction I feel watching my patients walk well with a prosthesis is unbeatable. Seeing them ski, run, climb back in a tree stand, and get back to enjoying life is a very rewarding experience. 2354 Richmiller Lane in Belpre, Ohio. 2601 Dudley Ave Suite 5A in Parkersburg, West Virginia. 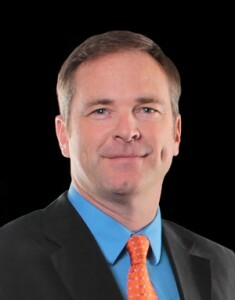 Sean Greer is our Certified Licensed Orthotist, who specializes in pediatric orthotics and cranial molding. 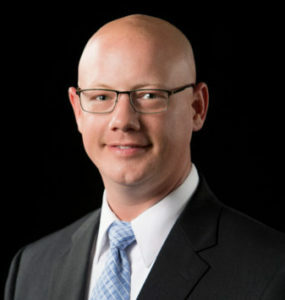 Sean is originally from Parkersburg, WV and has practiced over the past 16 years in Brooksville, Fl, Morgantown, WV, Hickory, NC and Pittsburgh, PA. Sean is a 1999 graduate from West Virginia University in Morgantown, WV and completed his Orthotic education at Newington, CT. He is certified through the American Board of Certification (ABC) in Orthotics, and is state licensed. Miller Prosthetics & Orthotics is a progressive clinic that provides a state-of-the-art modern approach and the latest technologies to our patients. Sean’s experience and knowledge further increases the services we provide to the region. Here is a personal note from Sean: My name is Sean Greer and I am a Certified and Licensed Orthotist specializing in pediatric care. I was born and raised in the Mid-Ohio Valley, but like so many others, I left the area in search of my education and adventures. Upon completion of my orthotic education, I was fortunate enough to work with some of the best Orthotics and Prosthetics companies in their markets. I was able to specialize in pediatrics while working with some of the doctor’s at many highly rated universities and children’s hospitals. I have worked with Physiatrists, Orthopedists, Neurologists, Neurosurgeons, Craniofacial specialists, and Physical and Occupational Therapists from West Virginia University, Wake Forest University, Levine Children’s Hospital in Charlotte, and UPMC Children’s Hospital in Pittsburgh. All during that time, I hoped that I would one day be able to bring my expertise to the families around my home area. Thankfully, I have been able to do just that. I have found that many general orthotics clinics treat children as if they are the same as “adults in miniature.” It takes an orthotist who has specialized in the treatment of children to understand that this is not the case. Children require specialized consideration for treatment due to the changes of growth and development, as well as a long term outlook on their prognosis. I am proficient in all types of bracing including custom and pre-fabricated designs from head to toe. I also have been fortunate enough to be able to further specialize in devices for re-molding the body, including cranial remolding helmets, scoliosis bracing, and Blount’s KAFOs. I was among the earliest clinicians certified through FDA required training to provide the Starband Helmet by Orthomerica in 2003. I have lectured to Physical Therapy schools and Orthotics and Prosthetics programs, in addition to being a speaker at the Orthomerica Star Summit meeting for cranial remolding specialists. I have been building my experience over the last 15 years and I am eager to offer my services to providers, therapists and families in the area. 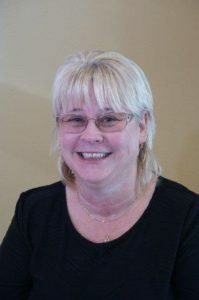 Susie Murphy is the smiling face you will see in our office or the friendly voice you will hear over the phone. She manages our office and knows the details of prosthetics & orthotics, especially when it comes to insurance companies and their requirements. She was born in Paintsville, Kentucky and was raised in St. Albans, West Virginia. Susie has been involved in the insurance and billing side of prosthetics and orthotics for 29 years starting her career in 1986. She joined our team April 15th, 2014. 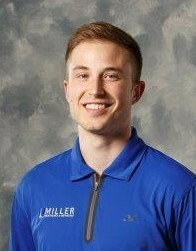 Alex Miller is our Prosthetic & Certified Orthotic Assistant. He has a Degree in Biological Sciences from the University of Cincinnati and is pursuing his Masters Degree in Orthotics and Prosthetics. While in college, Alex worked as a part-time technician for an Orthotic and Prosthetic Clinic in Cincinnati, Ohio. 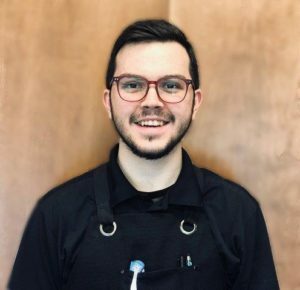 Alex has also worked as a part-time technician here, at Miller Prosthetics & Orthotics, while attending Warren High School in Barlow-Vincent Ohio. Alex is the son of owners Mark and Nancy Miller, and has been involved in the business in a variety of ways since 2013 – including video editing and production. Kim Weiner is our Office Administrator who has been in the Prosthetic and Orthotic Industry since 1997. She has performed all areas of administration, from front office and billing to area supervisor. 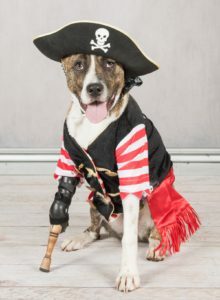 She is another friendly face you will see in the office. Kim is originally from Belpre, Ohio and has her heart and soul in this community. We are thrilled that Kim joined our team on April 3, 2018. Tyler Morris is our Prosthetic and Orthotic Technician, he joined our team April 1, 2019. He is a graduate of Warren High School class of 2014 and is a local, born and raised in Marietta, Ohio. Tyler attended Washington County Career Center working hand-on with Auto Collision. He has also worked locally, holding a variety of positions including money handling, trainer and manager. The Millers also facilitate the Prosthetic Users Group, which is an amputee support group in the Mid-Ohio Valley. All people with limb loss or limb differential and their supporting family and friends are welcome to attend the monthly meetings that are currently held the 2nd Tuesday of the month. The meetings are usually at our Belpre office at 2354 Richmiller Ln, Belpre, OH 45714. Check the website for agenda and to verify meeting place at: www.PUBMOV.com Or just click here. 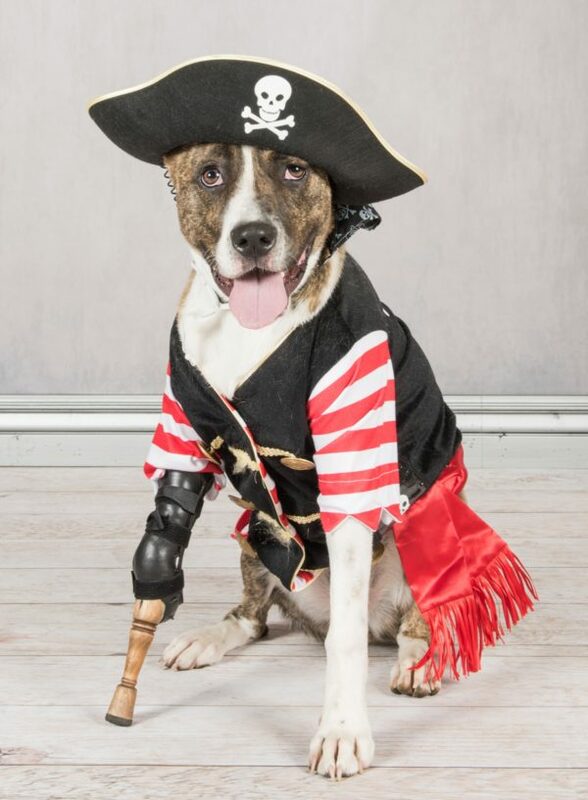 The National Amputee Coalition whose mission is to reach out to and empower people affected by limb loss to achieve their full potential through education, support and advocacy, and to promote limb loss prevention. The Parkersburg chapter of Ambucs, who is dedicated to creating mobility and independence for people with disabilities.